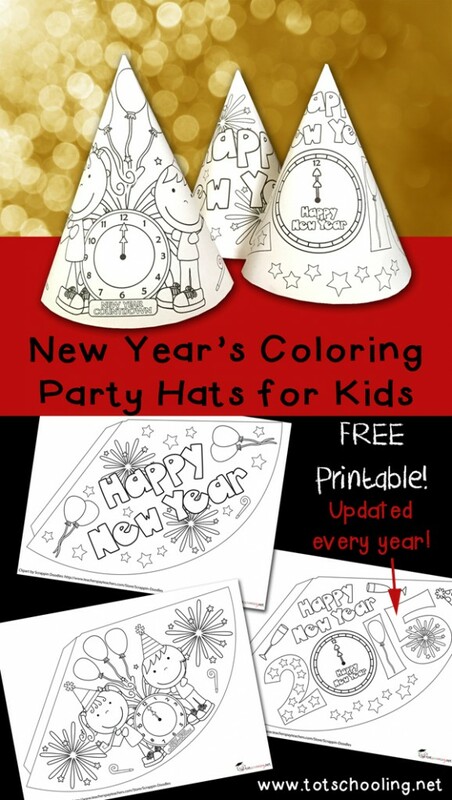 Kids of all ages can celebrate the New Year with these fun FREE coloring party hats! Includes 3 different designs that are updated every year. Just color and decorate them, then cut them out and wear them as party hats. Perfect activity for any New Years celebration!